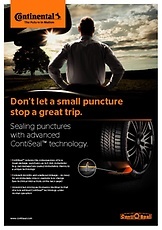 ContiSeal™ is a technology developed by Continental designed to seal a damaged tyre tread. In case of penetration by foreign objects such as nails, there is no need for immediate roadside tire changes, and holes remain sealed even if the puncturing object becomes dislodged. 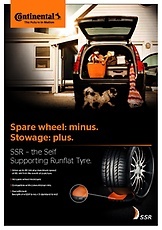 Upon discovering a puncture, a tire specialist must promptly check the tyre. 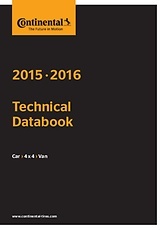 A ContiSeal™ tyre contains a sticky, viscous sealant layer that covers the inside of the tire tread. It provides an almost instantaneous seal around any penetrating object (up to 5 mm in diameter in the tread area), trapping the air inside and keeping the tyre inflated and your car mobile. 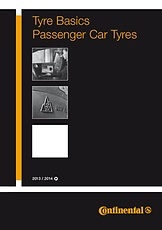 When a puncture occurs on a standard tyre, the sidewall can get crushed between the rim and the road, leading to a potentially dangerous situation such as a blowout or the tire slipping off the rim.